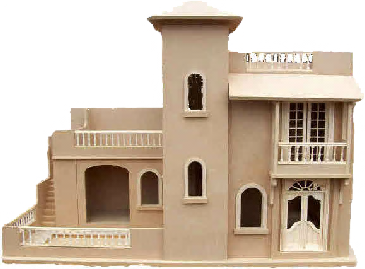 Designed for enthusiasts looking to create a modern 12th scale house our new Mediterranean villa encapsulates the feel of a true holiday home. The house has two floors and two sun balconies with a third patio or garden area to the ground floor. The central tower front panel can be detached to reveal the stairwells. The villa is hinged on the right hand side of to reveal the spacious living area and two separate bedrooms.